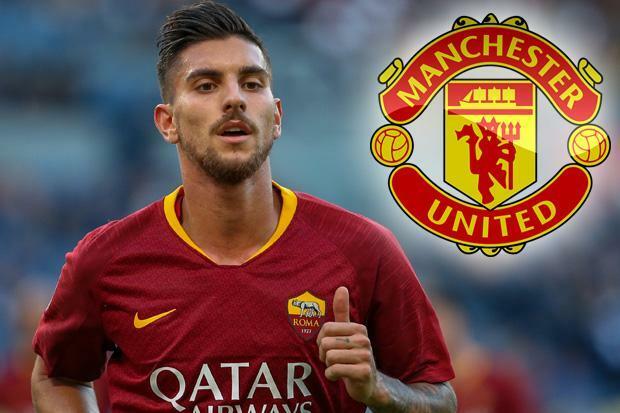 Manchester United are interested in signing Italian international and Roma centre-back Lorenzo Pellegrini, and they have offered him a four-year deal ahead of the January transfer window, according to a report in the Daily Star. United signed two outfield players in the last summer transfer window and despite these new acquisitions, the club have been shambolic from the start of this season. Mourinho blames his woes on the lack of quality players at his disposal, but he is expected to reinforce the weakest link of his team soon, which is appears to be the defence. However, the Portuguese manager is an admirer of Pellegrini and the top brass of United are said to be willing to do everything possible to sign him. The 22-year-old currently earns £890,000 a year but United are reportedly ready to double his wages to land him. Described as a box-to-box midfielder, the Italian returned to Roma after a two year spell with Sassuolo in the summer of 2017 when the Rome based club activated the buy back clause in his contract. Ever since this move, he has established himself as one of the most promising prospects in Serie A. Daily Star cited a report by Corriere dello Sport, which claimed Giacomo Pocetta, Pellegrini’s Agent had a meeting with representatives of United over the weekend and a concrete offer was made. He currently has a €30m (£26.6m) release clause in his contract but Roma are unwilling to let him leave midway through the season. Roma’s Director of Football, Monchi, wants to offer the player a new contract that will see his release clause significantly increased to keep him where he is and ward off any potential suitors, including United.